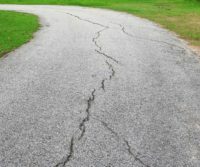 Archive by Category "Pavement Care"
Tiny fissures in the concrete asphalt of your home or business’ driveway aren’t an obvious issue immediately. But, seasonal changes in temperature and humidity, plus rain, ice, and snow can widen cracks. Continued wear leads to uneven pavement and potholes that are expensive to fill in. Even with regular cleaning and other maintenance, it can be difficult to keep your driveway looking good. If you’ve noticed a few cracks on the surface of your driveway or parking lot, they certainly won’t improve on their own. Waiting for colder months will only leave the vulnerable surface exposed. Moisture will seep into the crevices causing them to worsen. Instead, repair minor damage before it becomes a major issue. Expert paving contractors in Baltimore MD recommend fixing small driveway and parking lot cracks now before winter weather comes rolling in. A&M Asphalt Paving will help homeowners prep their driveways for the colder months ahead. In fact, we can apply our years of training to any simple or complex problem. We can build a new driveway, complete repairs to existing surfaces or add a layer of protection with seal coating. The best way to ensure your driveway is protected against weather events and temperature fluctuations is to have A&M Asphalt Paving seal coat your driveway. Our paving contractors in Baltimore MD and surrounding areas will come to your home and can usually complete the job in a day or two. Once sealed, your driveway will be less susceptible to water penetration. Plus, ice and snow will melt more quickly on a seal coated surface, and you will have fewer long-term repairs to worry about. A&M Asphalt Paving can handle all of your asphalt paving needs. With over 30 years of experience in the industry, their friendly crew will ensure your satisfaction. Contact us today to schedule a free estimate of your driveway or parking lot project. As the temperatures drop most people will spend considerably less time cleaning the exteriors of their offices and houses, landscaping and gardening as well as asphalt pavement upkeep. Your asphalt pavement or driveway also requires some protective maintenance and attention to get ready for the cold weather, just as your favorite perennial. A&M Paving has a few simple steps you can use to prepare your asphalt for the cold weather. Following the steps below can help make up your cold weather pavement care plan. What Should I Have in My Cold Weather Pavement Care Plan? Your asphalt might change as the weather begins to cool down. The moisture in both the air and the ground may cause the asphalt to expand and contract. Repair the potholes to prevent water from pooling and expanding, and fill any cracks in the pavement to prevent water from seeping under the surface of the asphalt. Consider sealcoating your surfaces with A&M Asphalt Paving. Sealcoating will protect your asphalt from severe winter temperatures. To allow a safe removal of snow, you should clear all the debris from the parking lots and driveways. This can be done with blowers and brooms, but it is important to seek professional asphalt cleaning from the experts at A&M Paving to ensure that the debris do not interfere with snow removal process. When you use professional cleaning, you will also bring to light any kind of structural problem such as potholes or cracks, which are supposed to be fixed within the shortest time possible. As a part of your cold weather pavement care plan you should clear all the standing water on your asphalt surfaces. This should be done during the spring so that you have ample time of repairing them. Waiting till winter can cause the standing water to freeze and become ice. There are a few items that you can store at your home or office that will make sure your asphalt will be kept in the best condition during the cold weather. When it snows, you will need the right shovel to care for your asphalt. 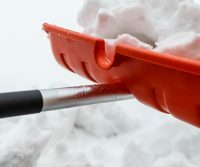 Shovels will help you clear snow and ice away from your home or office. They shouldn’t have sharp edges that might damage or chip the pavement. With this cold weather comes the potential for snow. If you live or work in the Baltimore- Metro area, you should get in touch with A&M Paving. The experts at A&M Paving are available for any kind of paving project, including sealcoating, and snow removal. Call us today to learn more about cold weather pavement care for your asphalt driveway or lot.